Boxing for Fitness is one of our most popular classes - due to it's popularity, on Mondays and Wednesdays, we run 2 classes back to back. 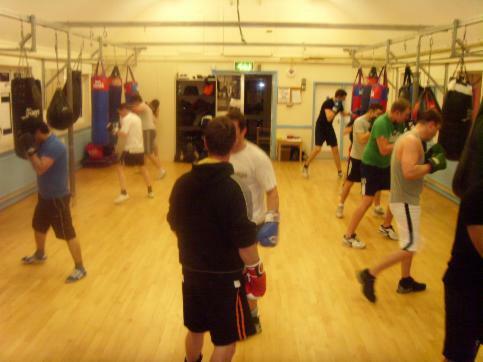 Our Boxing for Fitness classes suit everyone from absolute beginners to seasoned athletes. Some are drawn to the physical fitness and weight-loss aspects of training - others seek stress relief through exercise. Our classes are suited to people who enjoy boxing training for fitness development without the need to be hit. Our group classes offer an excellent solution for both men who have never boxed before, or those who did a little bit of boxing in the past and just want to re-kindle the flame. In our classes we aim to help you get the most out of boxing training by focusing on 2 main aspects: technique and fitness. Our first aim is to raise your level of fitness so that you can participate in classes for longer without running out of energy. Secondly we explain and demonstrate technique in a correct manner in order to teach you the true foundations of boxing.